The skin has protective mechanisms but over the long term (e.g. due to frequent washing), its protective function weakens. The symptoms of damaged skin are red and inflamed skin, excess drying, painful tiny cracks or itching of the skin. Therefore, careful washing with the right washing products is of the absolute necessity. Of equal importance, though, is the use of special creams on the skin after washing. 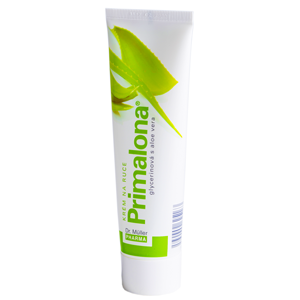 Primalona® product line is a hand protection at work in all branches of industry and services. Regenerative cream with Aloe Vera and glycerin which hydrates the dry skin after work with detergents. A protective for work in all industries and services. Calming cream with camomile extract is convenient for regular treatment of the dry skin after work with detergents. A protective for work in all industries and services. 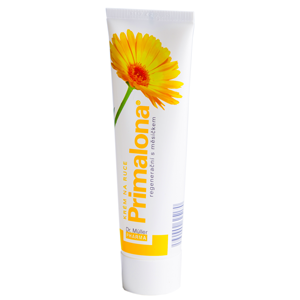 Regenerative hand cream with marigold extract is convenient for regular treatment of the dry skin after frequent use of soap. A protective for work in all industries and services.